I did an Escape Room at Whistler in late 2017. Lot of fun. We started out cuffed in a pirate ship and had to bust out. Those will clear up by Saturday! Wife and I are in pending babysitting confirmation. I think the 60 out location in marina del Rey would be a good fit. I haven’t done outbreak or zen room there. We are good to go. Let’s do this! Oh oops, I missed your reply - have you done the Titanic room there? We’ve done Outbreak (which was great & highly recommended for 2-3 people max - it’s a small one) and Wizard’s Workshop. I’ve read the Zen one is pretty easy but we could do that one also. I actually signed 3 of us for Titanic at 7pm before I saw this but can change it. Yea I’ve done that one. It was good but seemed short to me. Like we were expecting another room. Zen might be good because we’ve never done a room together. 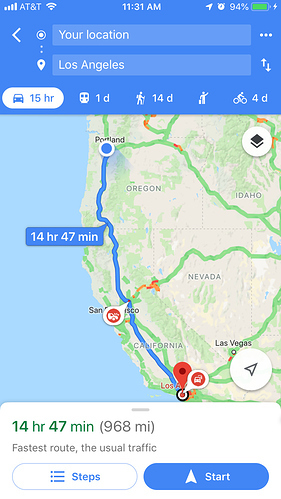 Or we can find another location that works. Or you can ditch us and keep your Titanic, which I would understand if you’ve made the booking already. Only a few reviews early on but they’re all good. Ok cool, 7pm works? We were going to grab something to eat real quick afterwards, then have to be back down in Torrance before 9:30. If you haven’t done the Maze Rooms near there, they have a couple good ones too. The owner/builder is really enthusiastic about it which we love to see. Especially the Jack the Ripper one. Yep sounds good. We will probably eat before because we are doing that intermittent fasting thing. 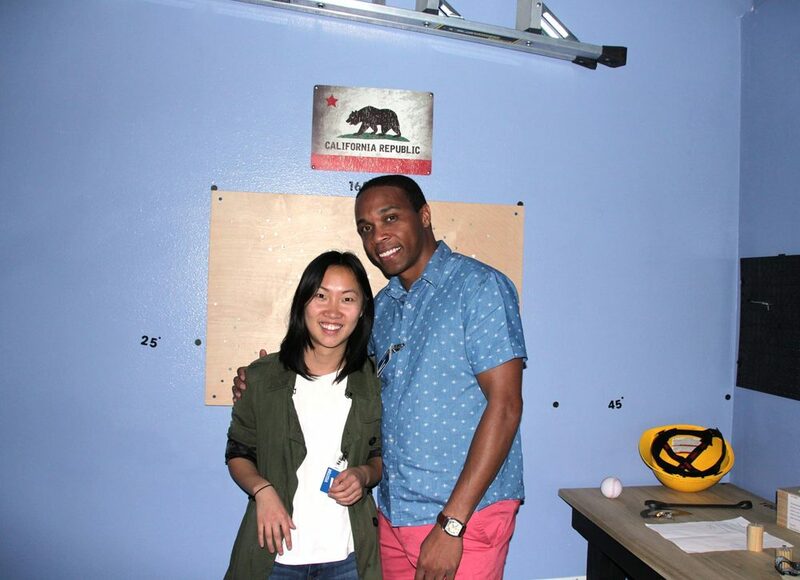 Our joint effort was a success as we made it through the Inescapable room with just over a minute to spare. Closest call I think any of us have had in a room before. There’s a planned second part which will hopefully make the whole thing a bit more thematic. As it is, I’m still not entirely sure why we were there, other than to investigate some sort of power outage. It had some neat little bits but a little too much reliance on locks for my taste. Fun night though - any more LA folks want to meet up with us next time? 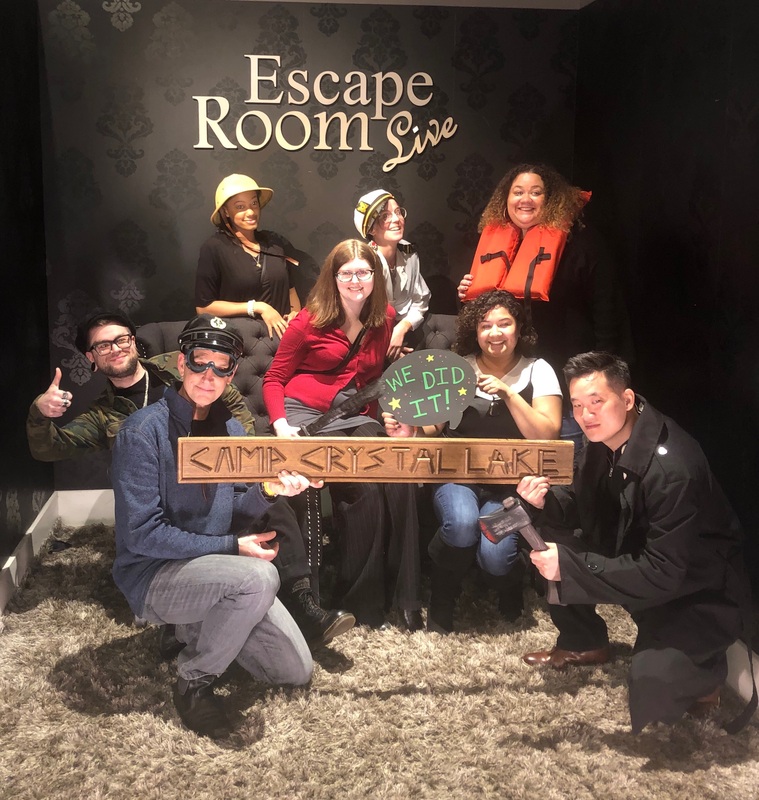 Our org held a staff retreat and we kicked it off with a trip to The Escape Room in Georgetown. The other team did better than we, but we escaped with about 3 minutes to spare before the Titanic went under. I must admit I was skeptical but it turned out to be a lot of fun. Looks good but what was Jason doing on the Titanic?? :D Hope you try some more - they sure can be addicting. It was fascinating. While we all work for the same organization, we are not all on the same work teams, so we don’t have experience working together as a whole. And it showed in the Escape Room. 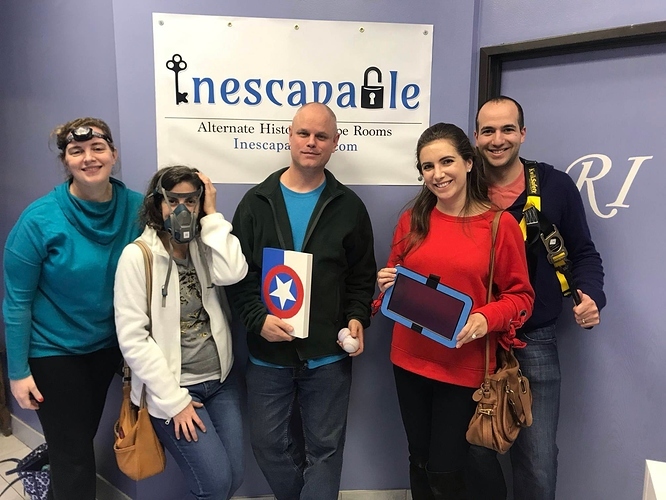 Rather than organizing our selves at the beginning everyone dove into trying to find clues and solve puzzles as fast as they could, which eventually meant we were slower to solve the rooms and escape than if we had been more intentional about working together. We eventually stopped and got ourselves better organized but it was not our initial impulse. And it was interesting to see who stepped up to lead. It was different people for different situations and not always whom I expected. So I learned a lot in this experience. Possibly doing another room here Saturday night in LA if any locals are interested! We ended up doing the Galaxy Quest room near USC and it was pretty awesome. The woman running it was one of the best guides we’ve had - really into it and just the right amount of snark and sarcasm. The room itself was more of an interactive experience than an escape room in a way but it worked really well. Felt like we were on a small abandoned scout ship out in the reaches of space. We’re planning on going back to do the Tiki room at the same spot as it’s supposed to be fun also. @MattN - definitely recommend this one, but no more than 4 people I think. 3 worked out perfectly for us. Tiki Time should be good for 5 if you’re up for it next time! Sounds good! Hopefully we can get a babysitter this time.